Welcome to Arkansas Corgis the home for Randall's AKC Pembroke Welsh Corgis. Corgi Puppies AKC Pembroke Welsh Corgi puppies available now! Future Corgis lists future litters of AKC Pembroke Welsh Corgi puppies. Past Corgis shows photos of past litters of AKC Pembroke Welsh Corgi puppies. Corgi Parents shows photos of our adult AKC Pembroke Welsh Corgis. Corgi Pedigrees shows AKC Pedigrees for our AKC Pembroke Welsh Corgis. 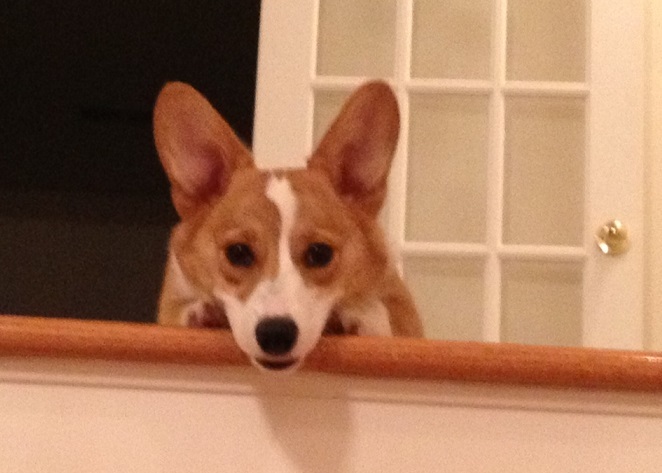 Health Tests explains 4 Issues and has Lab Results for our AKC Pembroke Welsh Corgis. Randall Family tells you about our family of AKC Pembroke Welsh Corgi breeders. Corgi Breeders is our AKC Pembroke Welsh Corgi puppies available for Pembroke Welsh Corgi Breeders. Corgi Delivery shows how we help Corgi shoppers from Arkansas, Texas, Oklahoma, Kansas, Missouri, Louisiana, Mississippi, Tennessee, Kentucky, and Illinois. Log-In lets you create a website account, so you can receive the Newsletter and updates about our AKC Pembroke Welsh Corgis as Corgi puppies become available. We're the Randall Family and we breed AKC Pembroke Welsh Corgis in Arkansas. Our Pembroke Welsh Corgi puppies are socialized in a family environment with 2 adults married for 23 years, 2 teenage daughters, and our cats on 7 Acres on Highway 62/412 in Ash Flat, Arkansas. Our adult Pembroke Welsh Corgis are tested for DM Spinal Deterioration, VWD1 Blood Clotting, EIC Exercise Induced Collapse, and Fluffy Coat Length. Every Corgi puppy we breed is safe from DM, VWD1, and EIC which are all life threatening to Pembroke Welsh Corgis. Some of our AKC Pembroke Welsh Corgi puppies became Therapy Dogs, and some won Obedience Trophies. Plus several of our Adult Corgis are related to AKC Champion Pembroke Welsh Corgis. We've even traced AKC Pembroke Welsh Corgi pedigrees and discovered some of our Pembroke Welsh Corgis are related to the Queen of England's Pembroke Welsh Corgis. We've been an AKC Pembroke Welsh Corgi Breeder for 14 years, and it's our only breed. 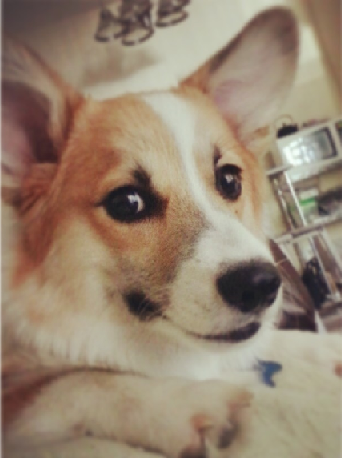 We are a responsible breeder that only breeds 1 to 3 litters of Pembroke Welsh Corgis per year. Even though we have the best quality of Pembroke Welsh Corgis with the Health Tests and Pedigrees to show it; we still offer our Pembroke Welsh Corgi puppies at the lowest prices we find in Arkansas, Tennessee, Mississippi, Alabama, Louisiana, Texas, Oklahoma, Kansas, Missouri, Illinois, and Kentucky. Our Pembroke Welsh Corgi puppies come with AKC Registration Papers, AKC Litter Certificates, AKC 5 Generation Pedigrees of both parents, Pedigrees to show that all of our Pembroke Welsh Corgis are related to the Queen of England's Corgis, Lab Results for DM, Lab Results for EIC, Lab Results for VWD1, Lab Results for Fluff, a Health Schedule to care for your Pembroke Welsh Corgi puppy, and food to last for 1 week to mix with the brand you pick. All vaccinations and deworming are up to date when you receive your Pembroke Welsh Corgi, and are listed on the Health Schedule. Our Pembroke Welsh Corgi puppies are properly docked by a Veterinarian to the breed standard of a bob tail under 2 inches long, and their dew claws removed to prevent injury. 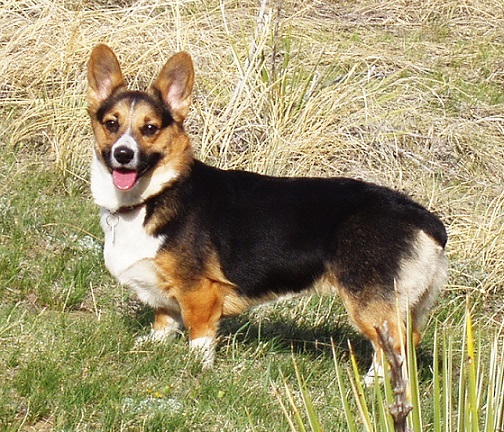 Try to avoid Pembroke Welsh Corgi breeders that do complete docks! Too short of a dock can permanently injure the spinal cord of your Pembroke Welsh Corgi, and weakens the muscles involved in defecation/bowel movements and causes digestion problems. These issues are part of the reason that the United Kingdom, where Pembroke Welsh Corgis originated, has made tail docking illegal. Our Veterinarian does a nice dock of 1-2" to keep within the AKC Breed Standard, and to protect your Pembroke Welsh Corgi from too short of a dock. As Queen Elizabeth said about her first Pembroke Welsh Corgi named Dookie: "I want him to have to wag a little, because otherwise we do not know if he's happy or not." During our 14 years of breeding AKC Pembroke Welsh Corgis we have never shipped by plane or van, because we believe in meeting customers in person. In 2013 the USDA adopted the same policy, and now requires dog breeders to meet their customers in person. If a breeder does ship, ask them for their USDA License to see if they are following Federal USDA Laws and the Animal Welfare Act. Customers from the 12 States of: Alabama, Arkansas, California, Georgia, Kansas, Louisiana, Mississippi, Missouri, New York, Oklahoma, Tennessee, and Texas knew it was worth the trip to get one of our AKC Pembroke Welsh Corgi puppies.